The National Tiger Sanctuary is a unique attraction in Branson where you can find an educational facility that gives you a chance to get as close as you can with the most feared animals. The sanctuary offers different tours that you can enjoy with the whole family. In this tiger sanctuary, you’ll get to discover big cats in a safe and protected environment where visitors of all ages enjoy an array of critters including tigers, panthers, lions, and mountain lions just to name a few. The tours at the National Tiger Sanctuary are all guided and run three times daily. The tours give you the chance to witness the big cats sleep together, play with pumpkins and barrels, nurture their young, and eat the food as they rip through bones. 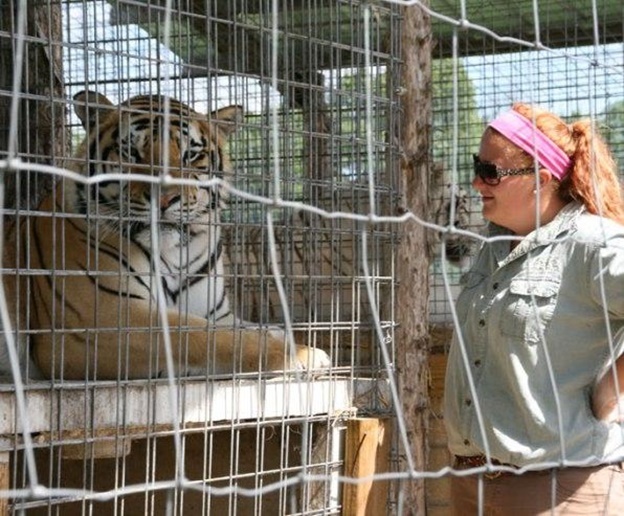 The sanctuary offers various wildlife refuge tours on site where you can have the chance to feed the animals in the first USDA-approved facility in the country that allows the public to feed the big cats. This once-in-a-lifetime tour experience at the wildlife refuge allows you to see firsthand the way the cats are cared for and fed. You will get to see how the food for the big cats is prepared, a chance to assist in the feeding process, and watch as they enjoy their meal. This properly maintained and protected area attraction in Branson is the only facility in Southwest Missouri that’s huge enough to shelter large, exotic animals in a habitat as close as possible in the wild. Visitors can safely visit these exotic animals as near as three feet away to the big cats. The sanctuary employs trained staff and volunteers that work carefully with the animals ensuring that they are properly fed and provided with professional medical care whenever necessary. The sanctuary has a mission to provide a safe, stress free, and forever home for big cats and other exotic animals. At the National Tiger Sanctuary, you will get to see a Black Leopard, African Lion, a Bengal Tiger, and several Bengal/Siberian Tigers, as well as several mixed-species animals. You will also be amazed with the distinctive behaviors of these stunning creatures, and get to discover how they’ve adjusted to nature after having endured in a caged existence. The sanctuary only allows viewing magnificent creatures no closer than three feet away for the reason of the safety of visitors. The sanctuary also houses several domestic animals that found their way onto the grounds and into the hearts of the staff, volunteers, and visitors alike. This unique attraction in Branson will make you feel completely happy and thankful that someone found a way to give these large creatures the type of home they deserve. Inside this amazing facility, you will get to witness the big cats’ natural instincts, behaviors, happiness, and their adaptability to nature as compared to caged animals. This unique adventure tour at the National Tiger Sanctuary gives you the chance to get up close and personal or feed some of the exotic creatures.